Our villa is a 'Dream Come True'- fully equipped, tastefully decorated, stand alone house with windows in every room offering wonderful views. Make this your home away from home. Close each day treated to a magnificent sunset viewed from one of our three decks. Retire to the master bedroom enjoy a king-size bed with a private bath. The other bedroom on the first floor has a queen bed with an adjoining bath. The living room, dining area, kitchen and laundry are also on the main floor. Upstairs the loft has two twins and has sliding glass doors to the upper deck. Just outside is our shared pool. This pristine island abounds with wildlife. You'll see gators, deer, dolphins, pelicans and birds of every description including bald eagles! Guest grill and High Speed Internet included. Amenities: Activities: Beach Fun, Golf, Swimming, Recreation Center, Biking, Fine Antiquing, Hiking, Fitness Center, Tennis, Shopping, Tour Historic Charleston, Live Theatre, Kid's Club Activities, Fishing, Visit Plantations and Museums, Board The Aircraft Carrier Yorktown and A WWII Submarine, Fort Sumter, Fort Moultrie, Aquarium, Concerts, Great Restaurants, Wildlife Viewing, Horseback Riding, Birding, Deep Sea Fishing, Crabbing, Exploring, Kayaking, Snorkeling, Diving, Boating, Sailing, Water Skiing, Surfing, Parasailing, Jet Skiing, Shelling. Very secluded get away, full of views that where amazing; sands to greens. Enjoyed our stay. Convenient to the beach and things to do. Was relaxing and comfortable. very homey, with games and books available and chairs and bicycles for the beach. It is longer to the beach then stated. About 1/3 of a mile to the boardwalk and then a long boardwalk to the beach. The oven needs adjustment, we had to put it on 550 to cook chicken but we did not tell the owner so i am sure she will fix it once she knows. The only part I was really unhappy about was check out was 10 which is much earlier than I have experienced at other properties. Enjoyed our stay. Nice pool right next door and a short walk to a gorgeous beach. 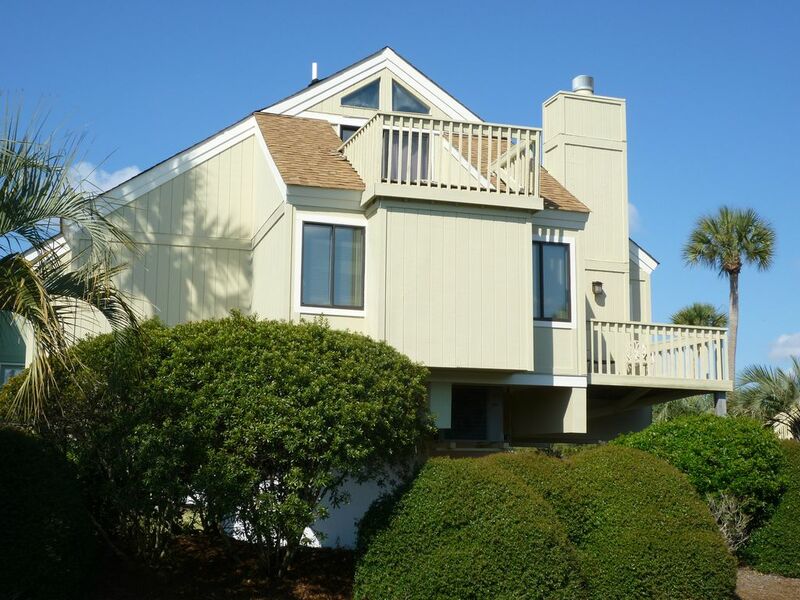 Wonderful trip to Seabrook, condo is spacious and pool is right next door! We had a great stay! Condo is well furnished and the pool is right next door! Five stars! Kathy’s home was perfect for our Thanksgiving holiday. Kathy is so thoughtful with her communication and ideas to help her guests. We loved the site location, room layout, board games and bikes. There was even a starter kit of basics provided like paper towels. It made for a turnkey stay. A terrific choice for families! The Charleston Area attracts 4 million visitors each year...the attributes are too extensive to list. It is a short, scenic 25 minute drive to the center of the Tourist area. When you've decided on Charleston/Seabrook, call us, tell us your interests and we'll offer suggestions, where to.. etc. We'll help make your Vacation GREAT. *****4TH of JULY WEEK PRICING***** WEEKLY PRICING FOR 4TH OF JULY ( JULY 2, - JULY 9, 2016 ) IS AN ADDITIONAL $100.00 FOR THE WEEKLY RATE From $150/Night $1290/wk Refundable Deposit required to secure reservation. Balance paid prior to arrival.